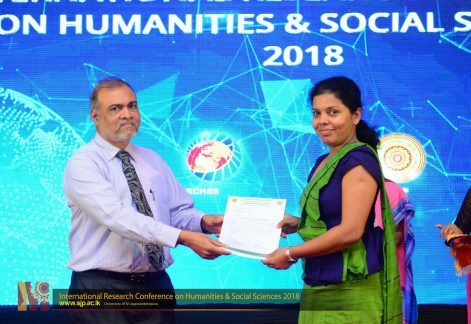 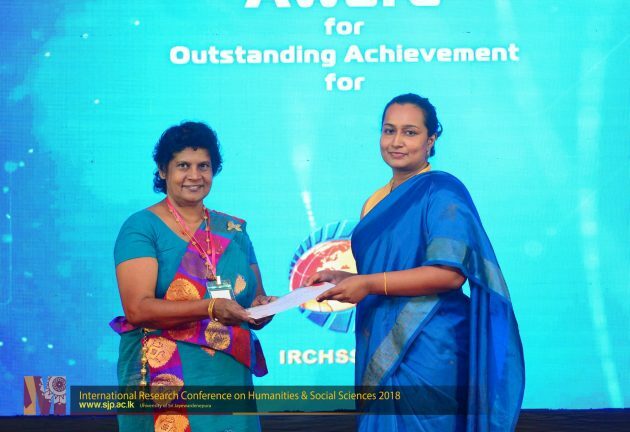 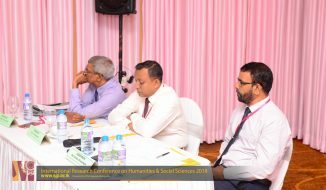 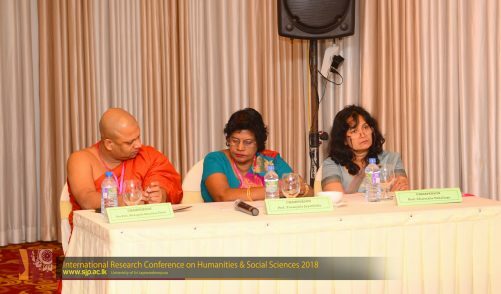 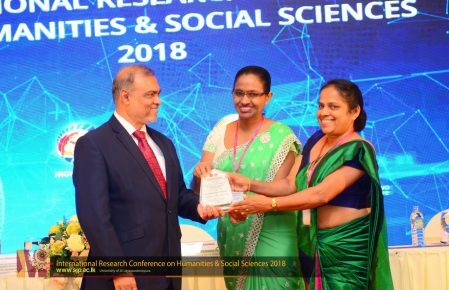 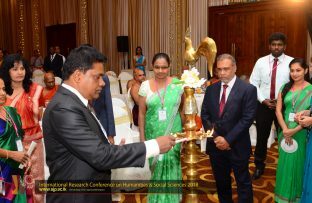 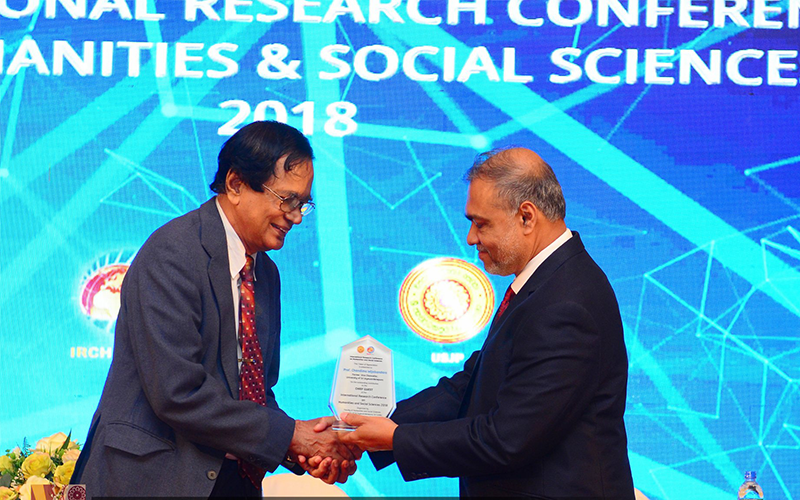 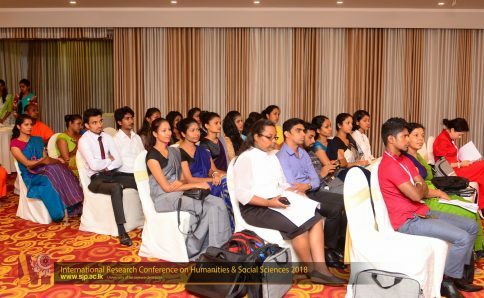 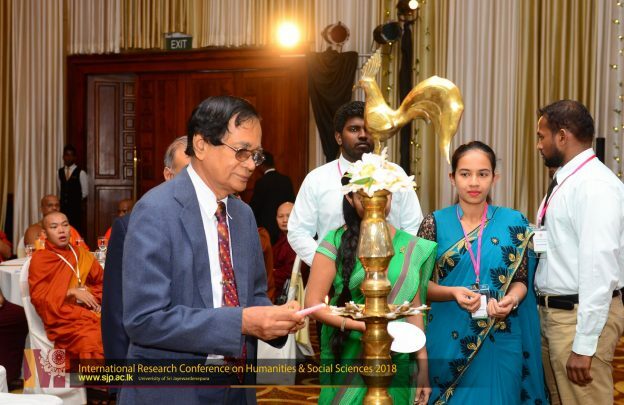 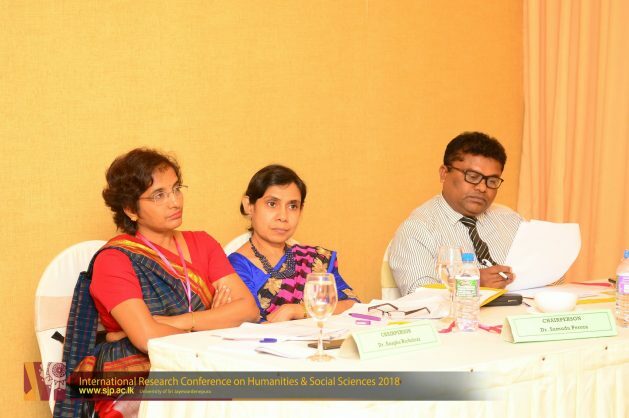 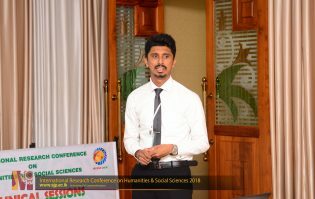 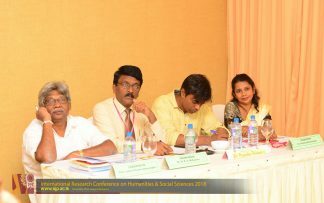 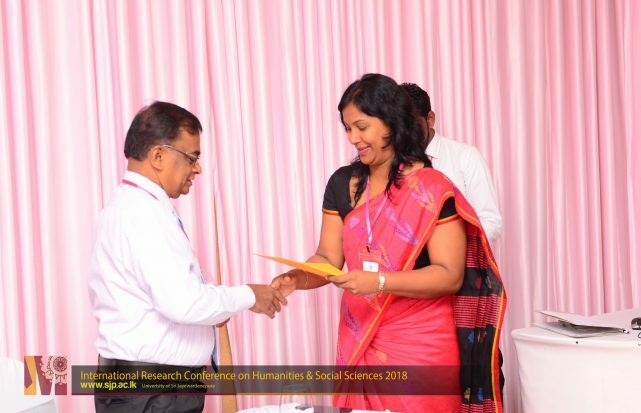 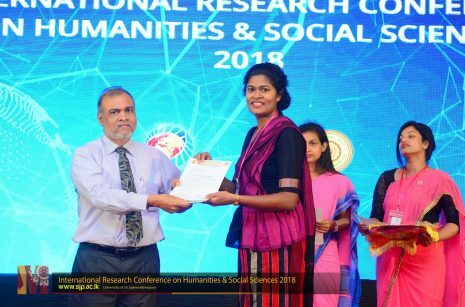 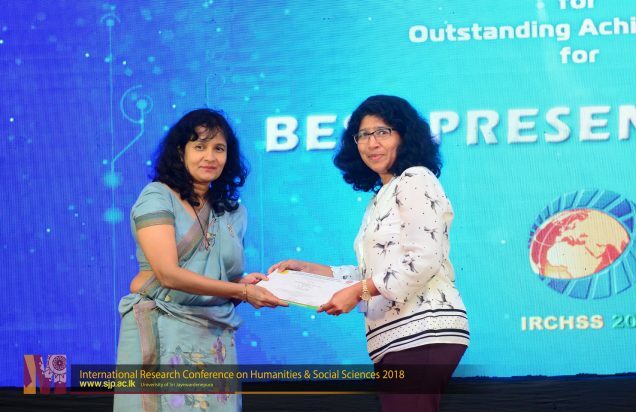 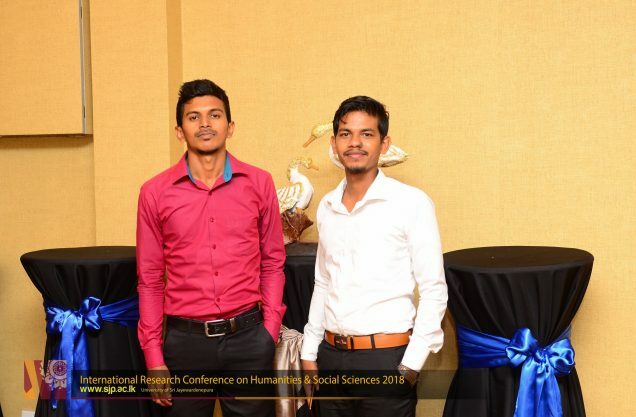 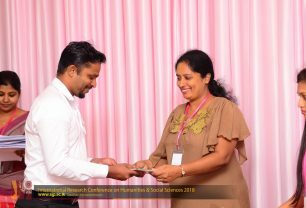 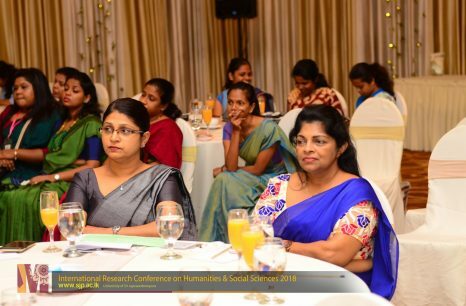 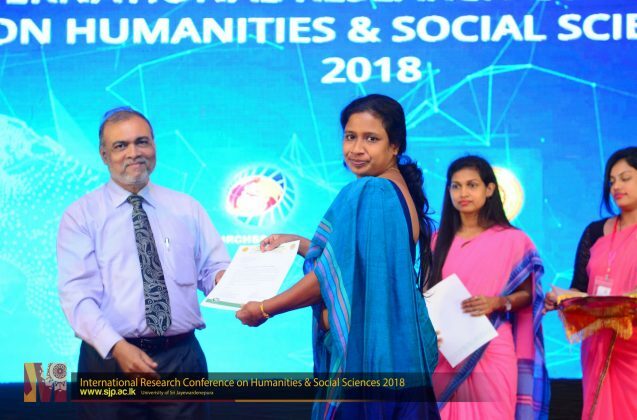 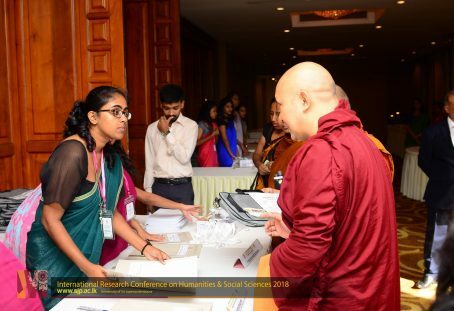 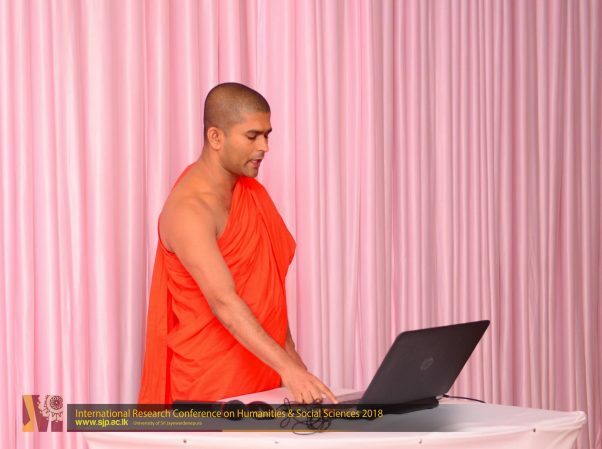 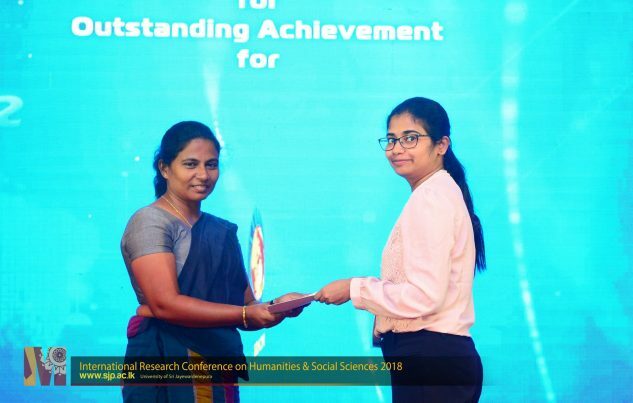 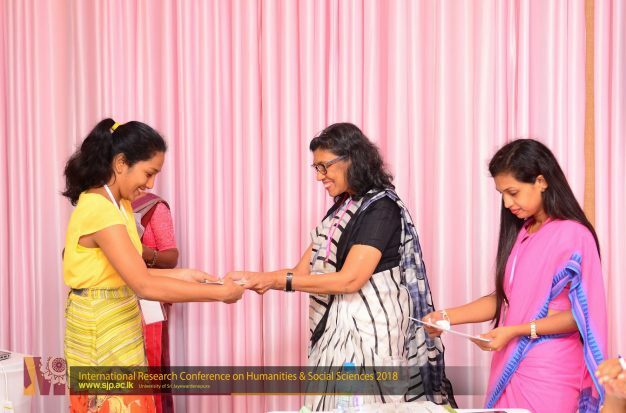 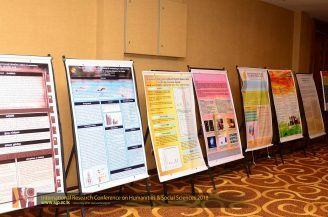 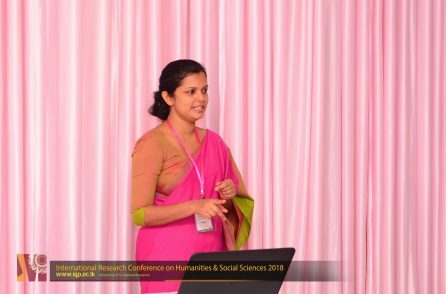 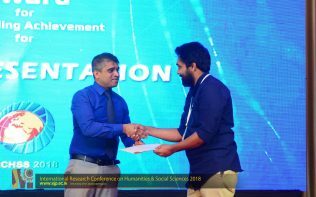 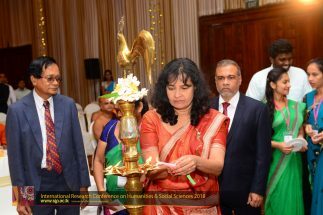 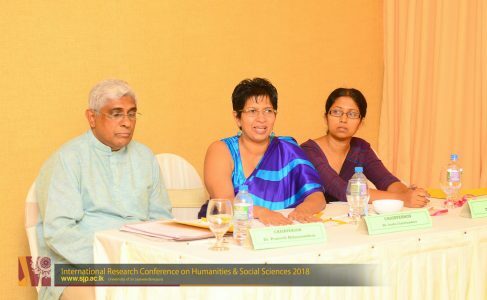 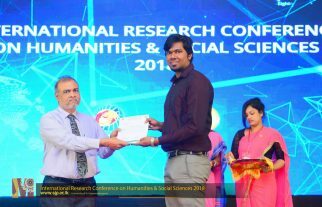 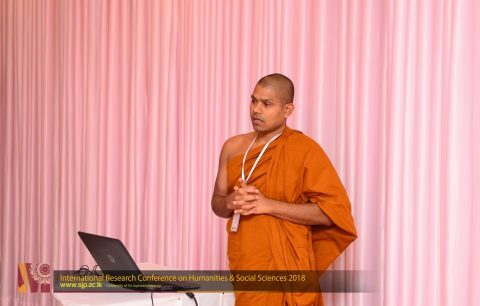 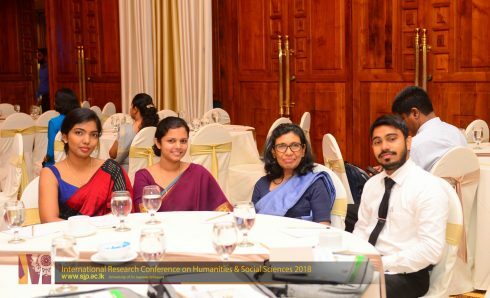 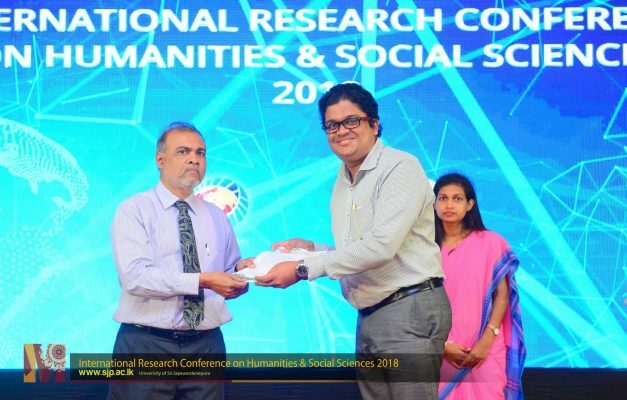 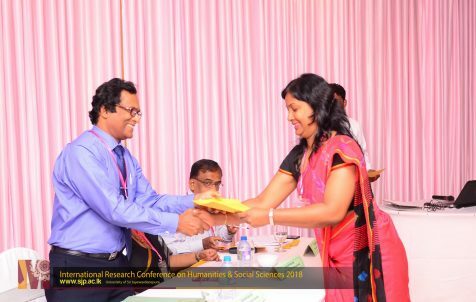 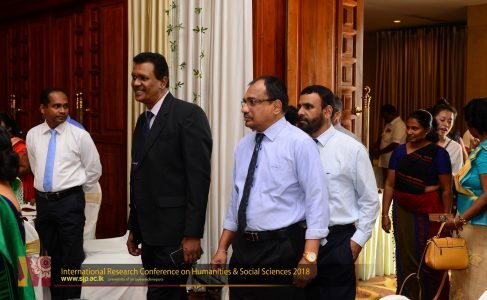 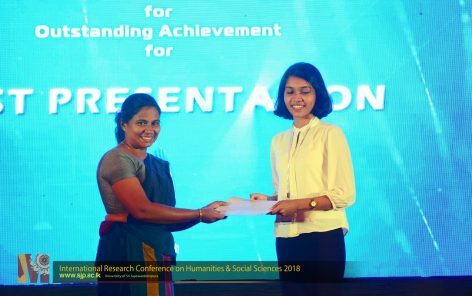 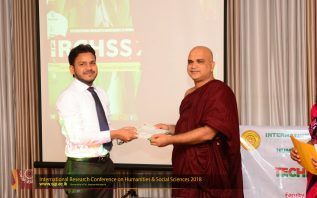 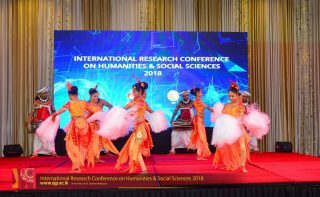 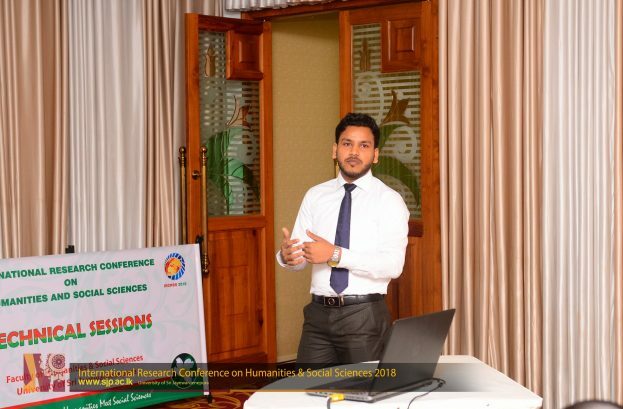 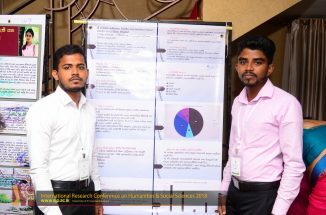 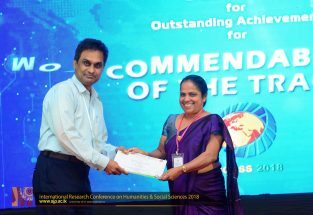 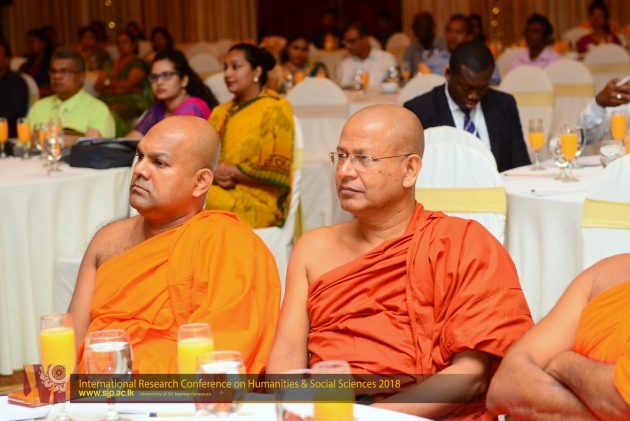 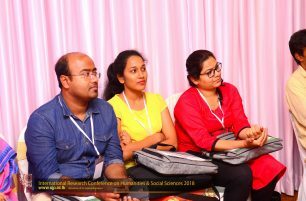 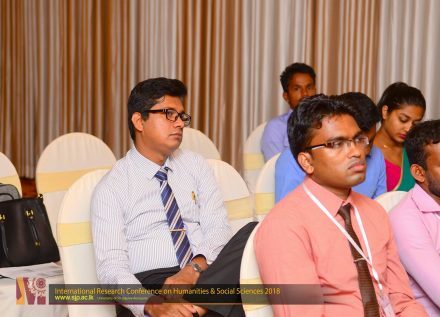 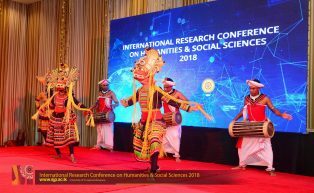 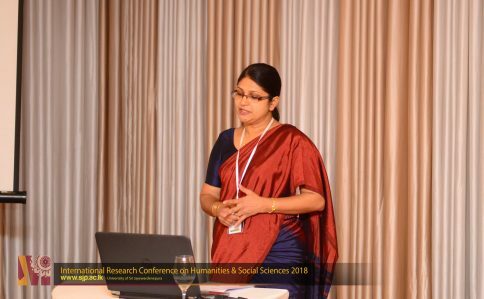 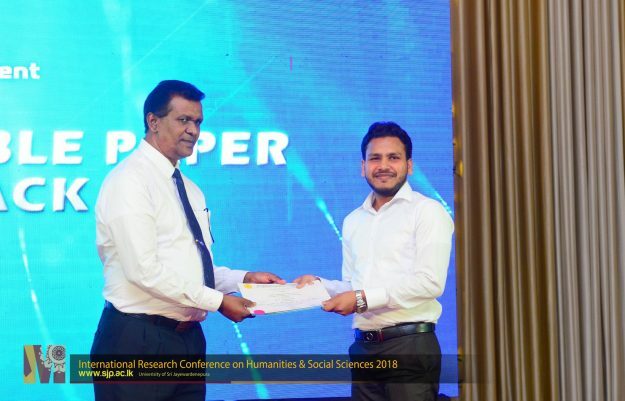 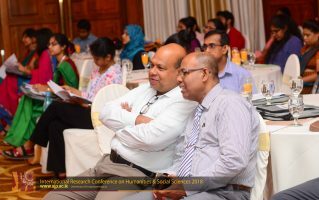 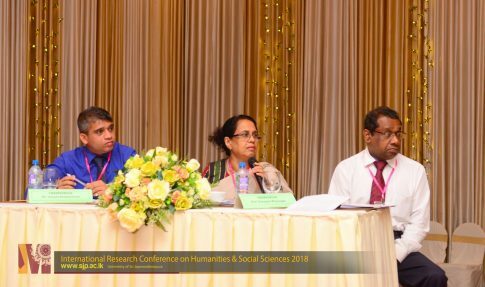 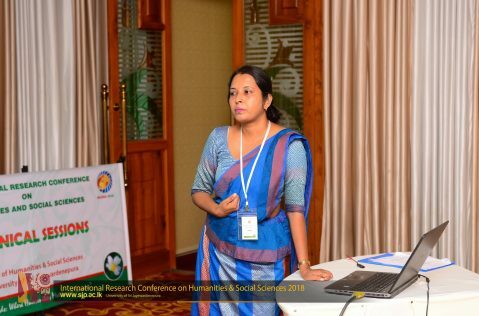 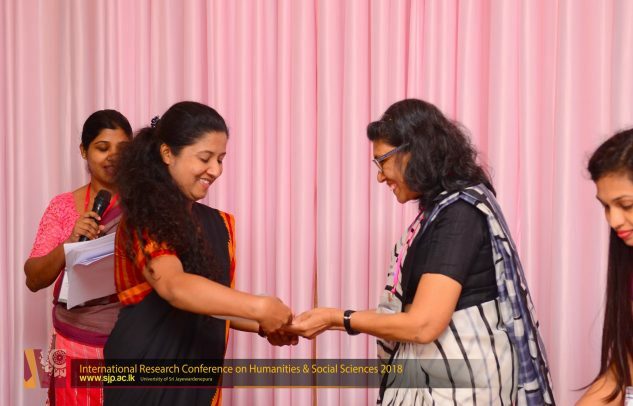 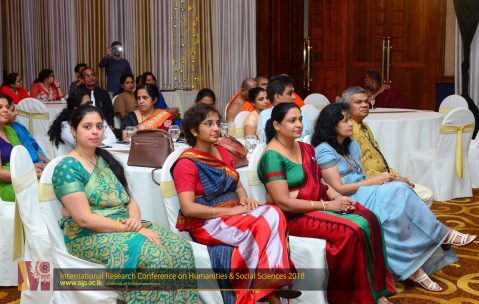 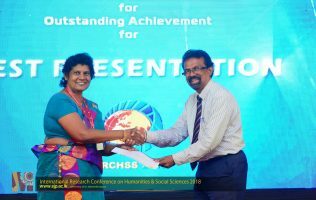 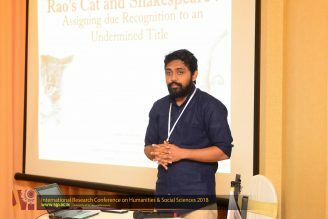 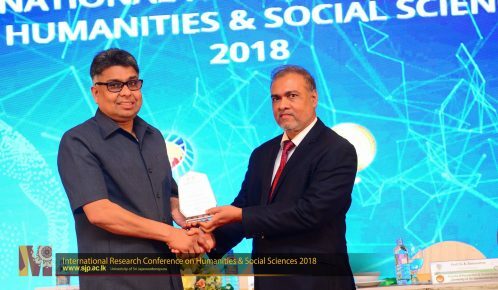 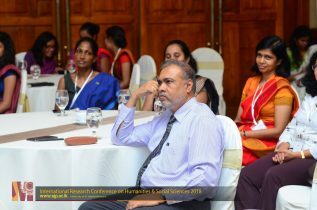 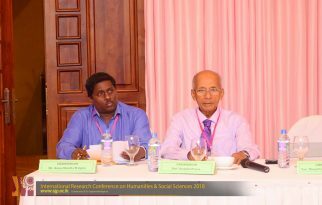 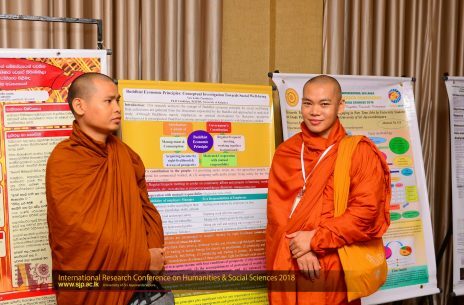 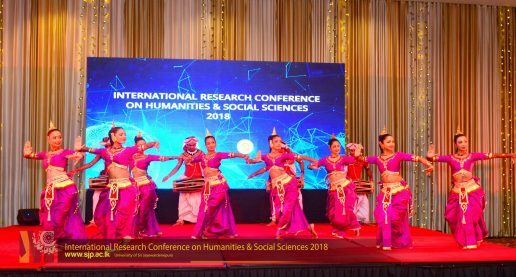 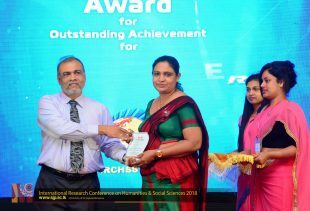 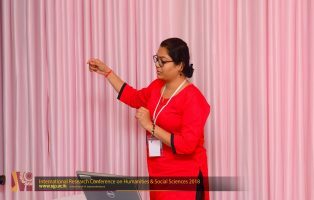 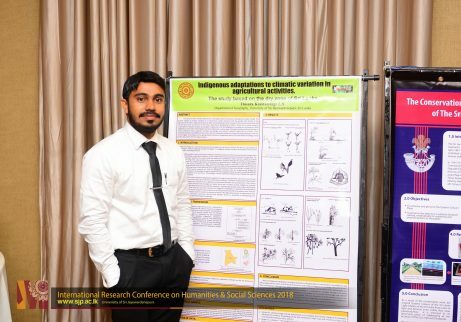 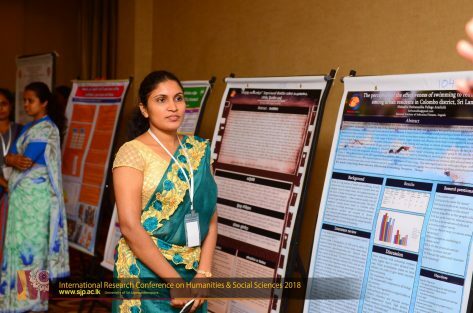 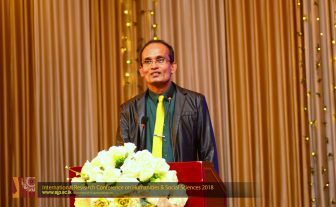 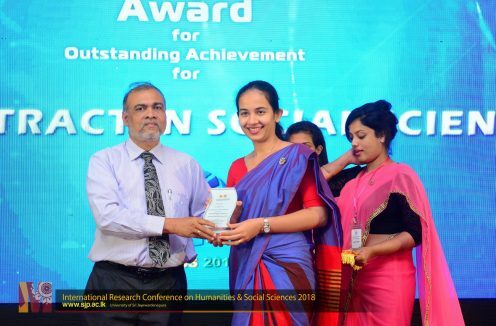 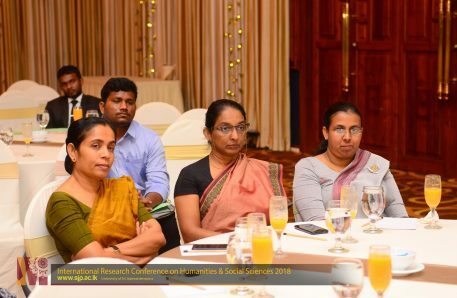 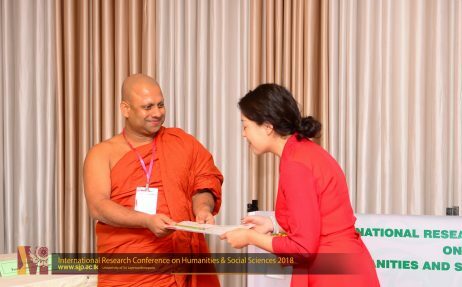 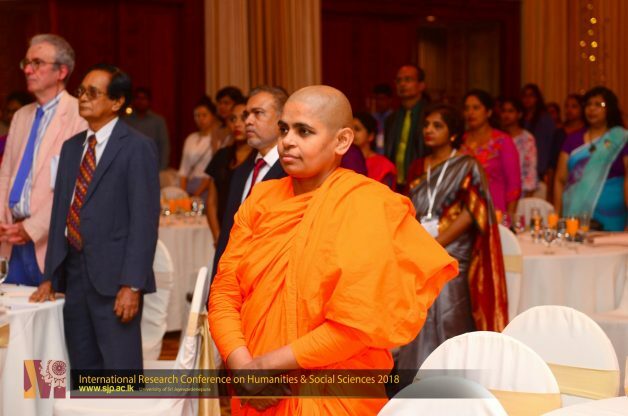 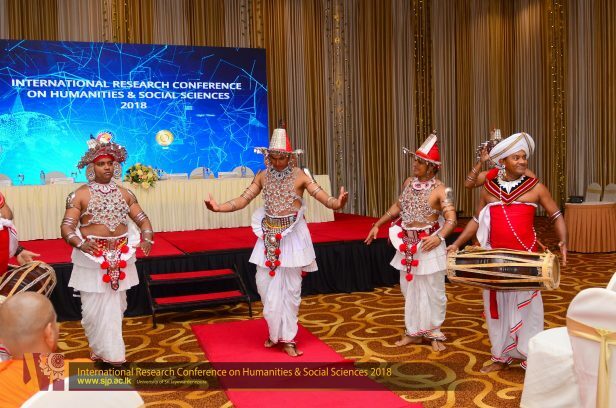 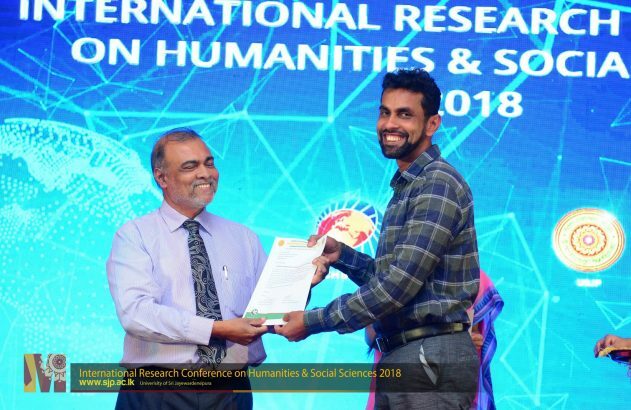 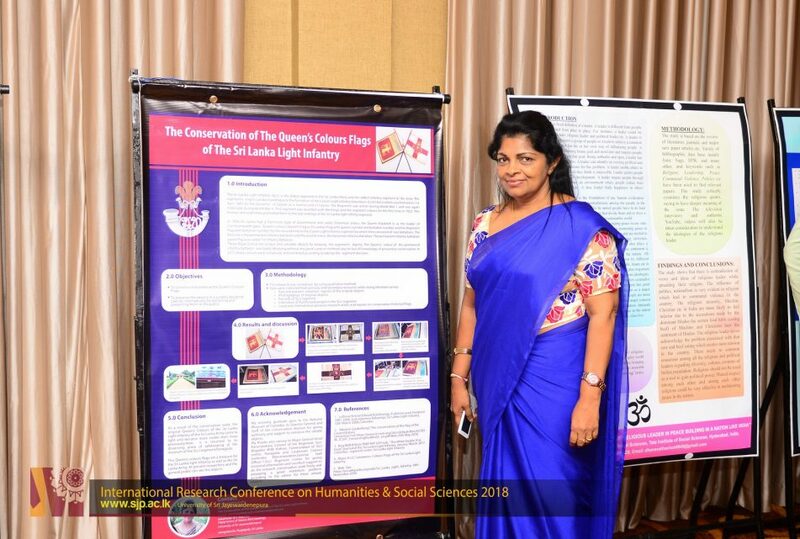 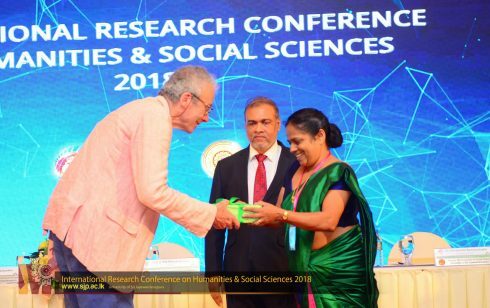 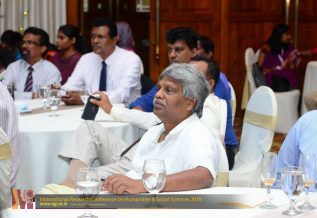 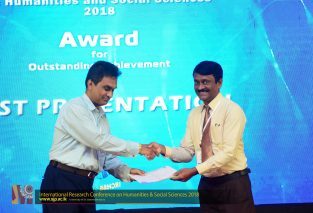 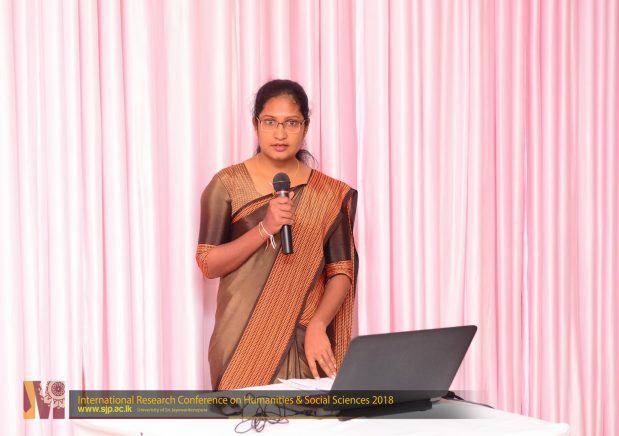 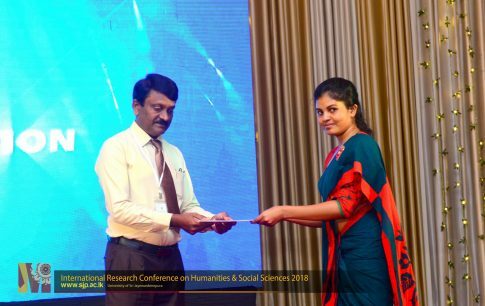 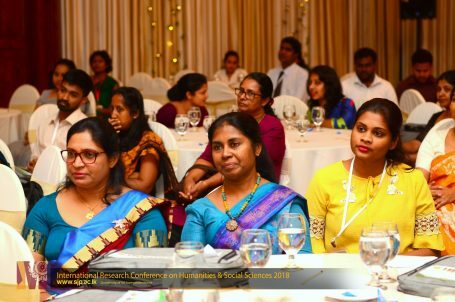 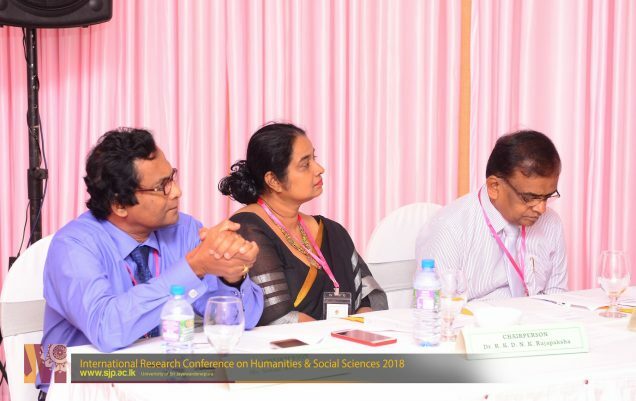 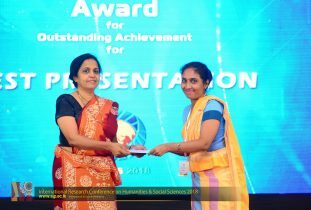 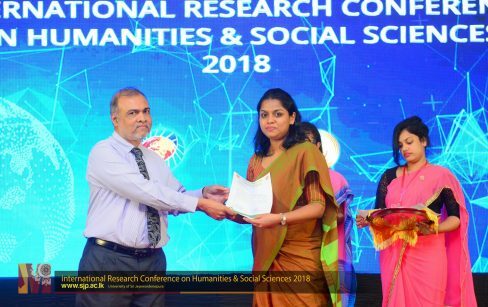 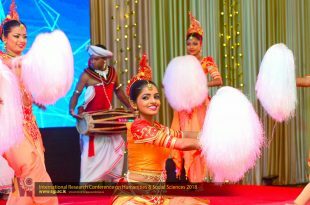 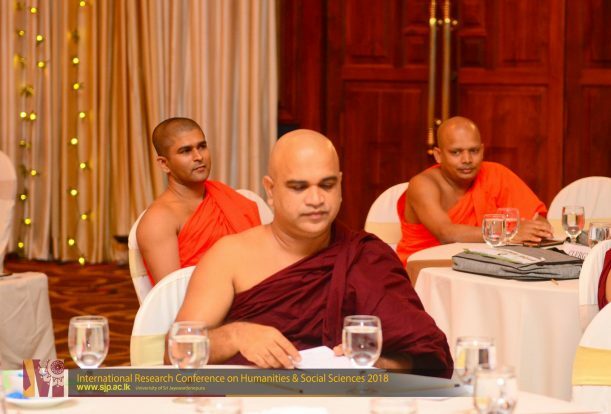 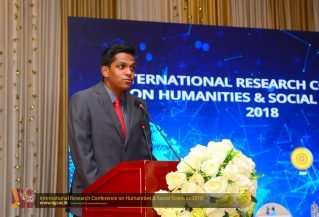 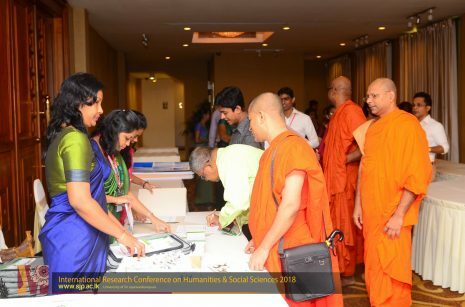 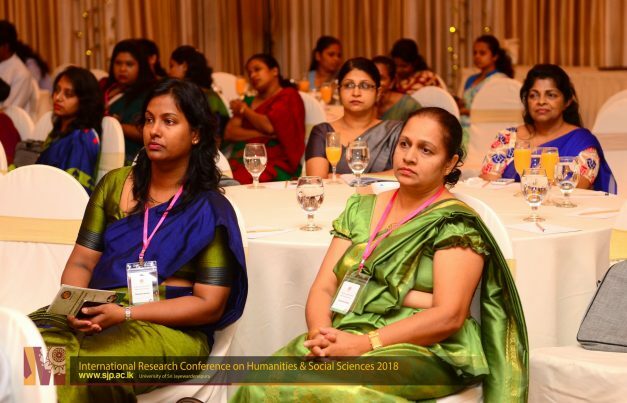 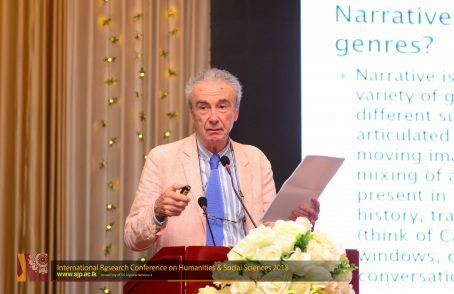 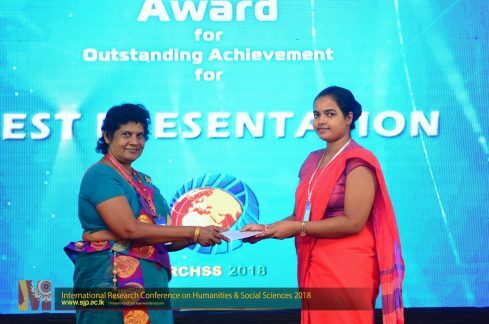 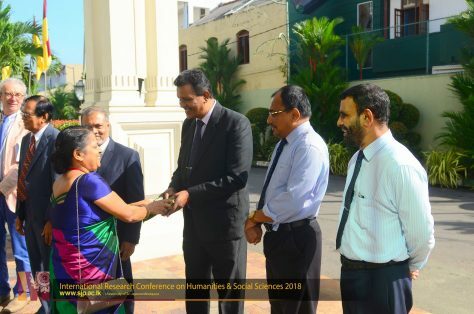 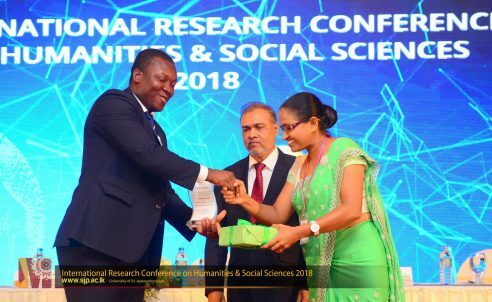 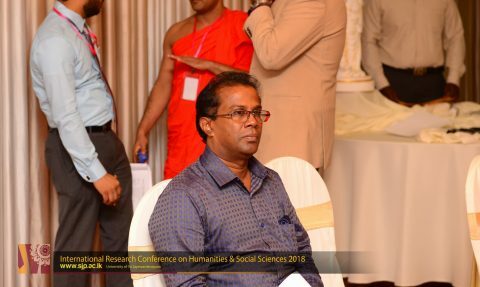 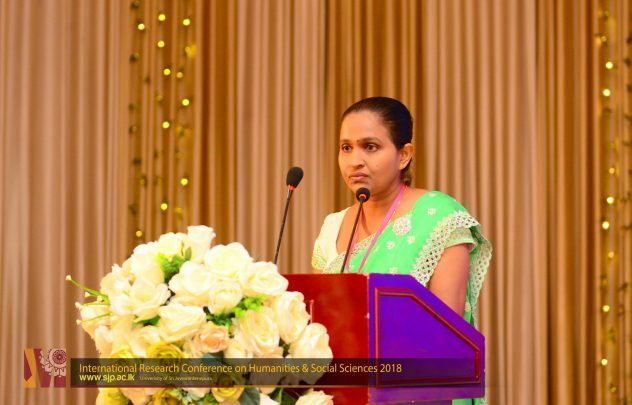 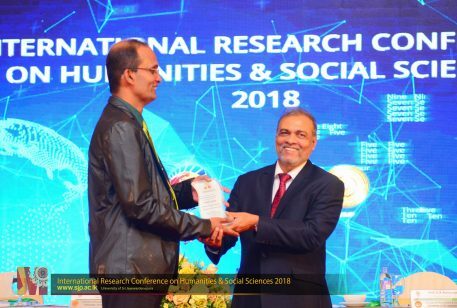 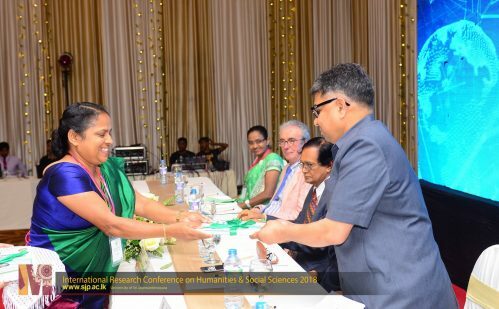 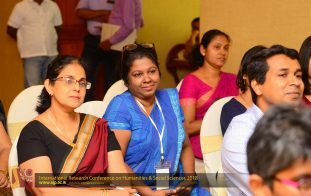 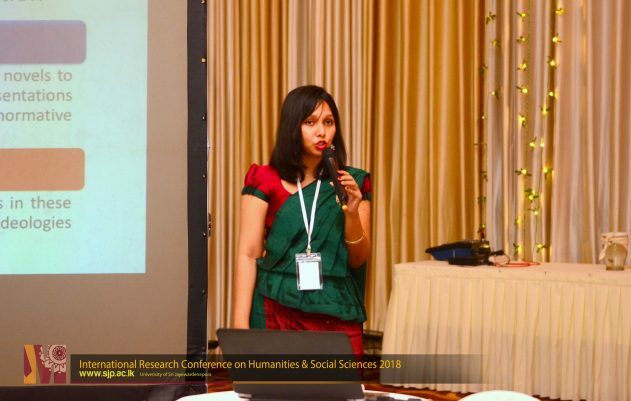 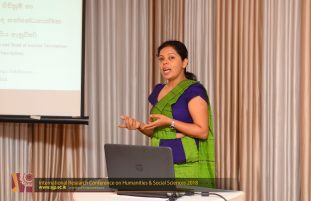 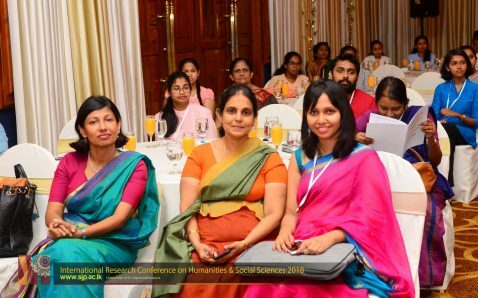 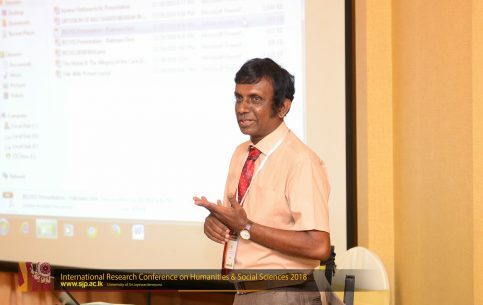 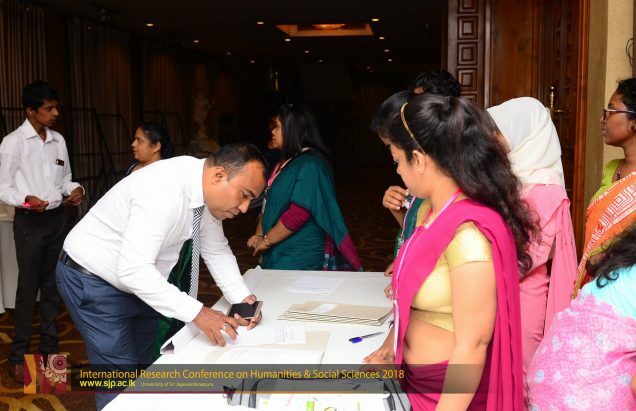 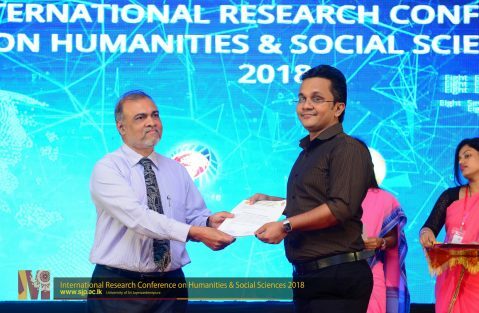 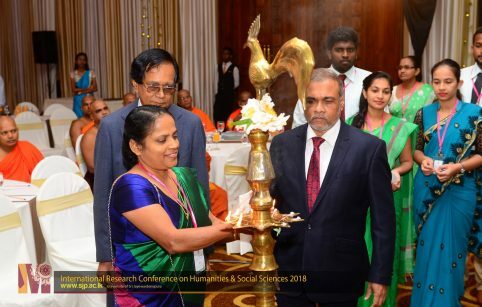 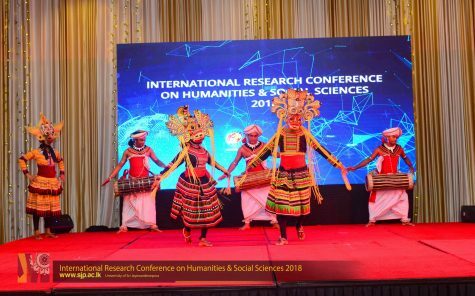 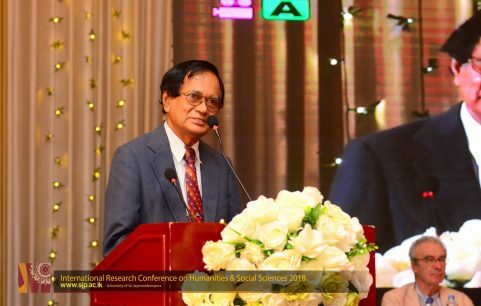 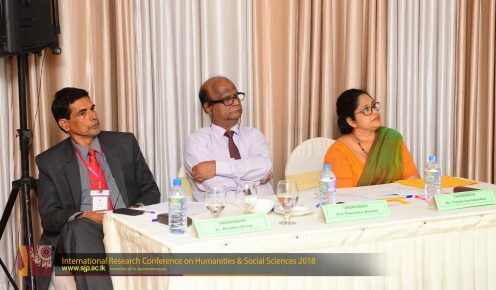 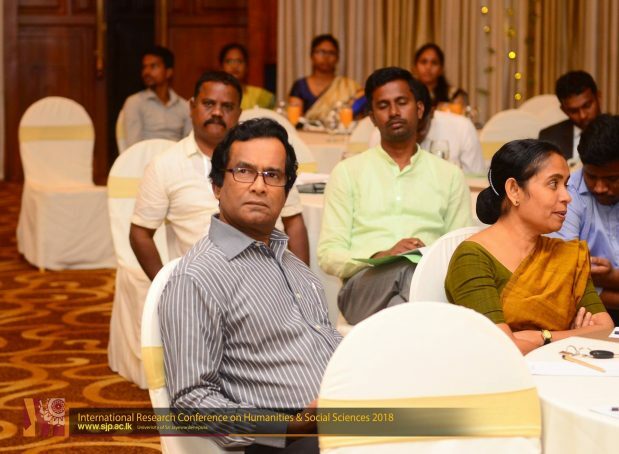 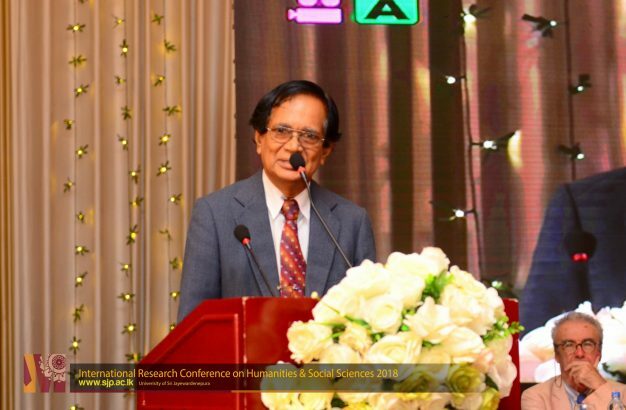 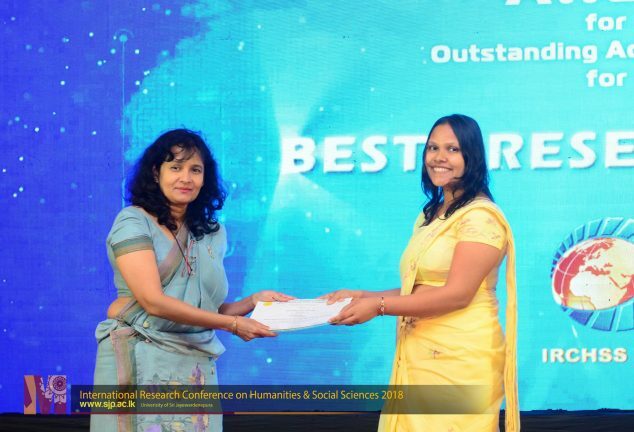 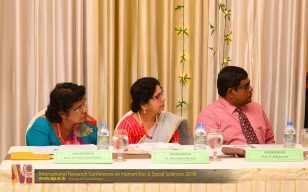 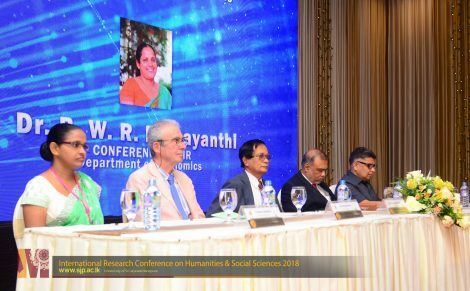 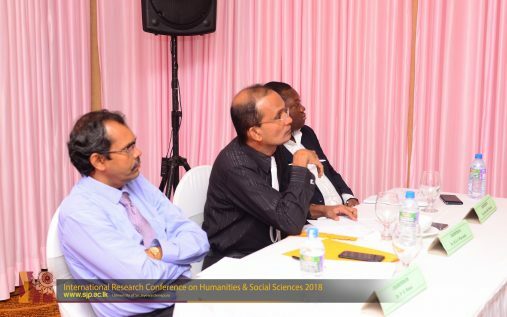 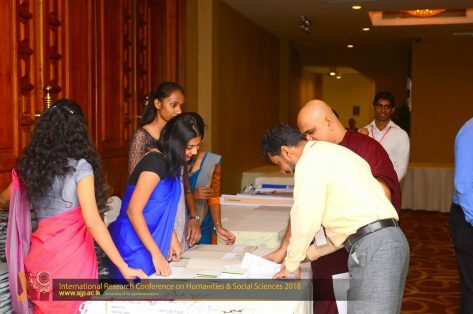 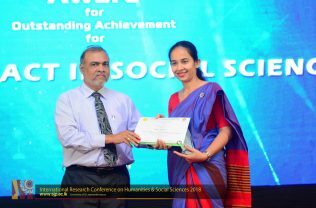 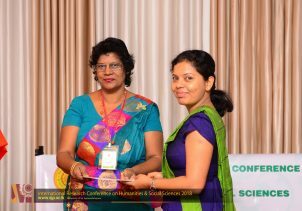 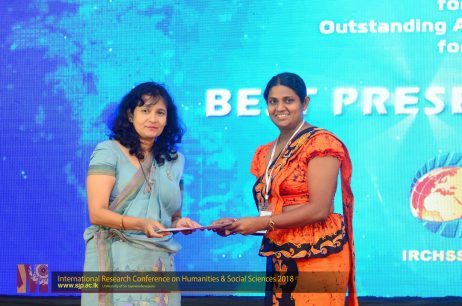 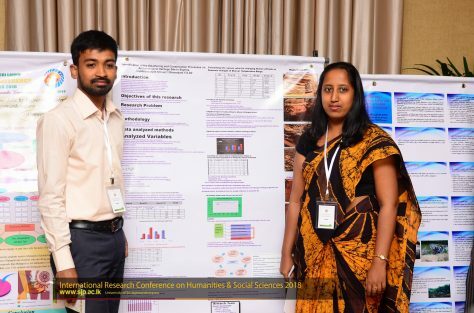 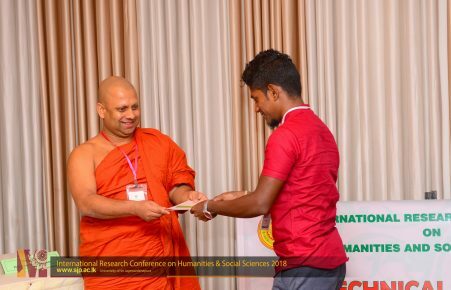 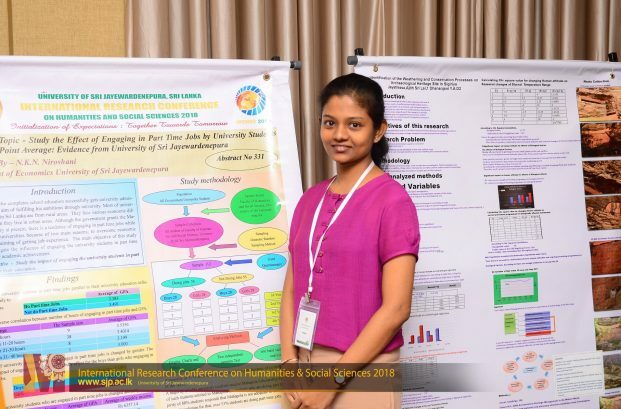 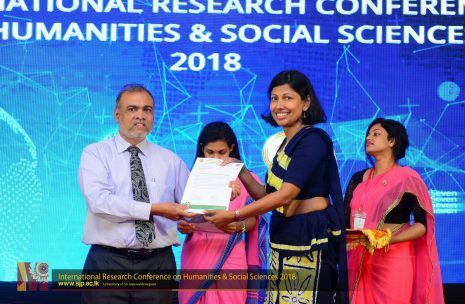 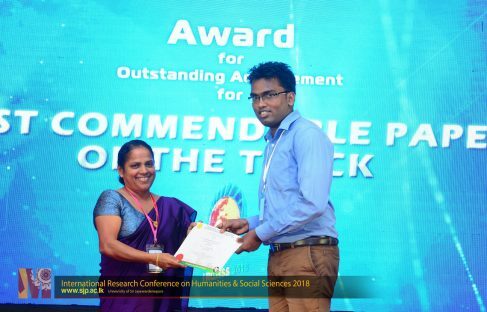 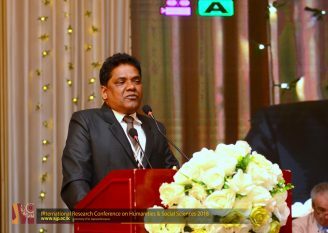 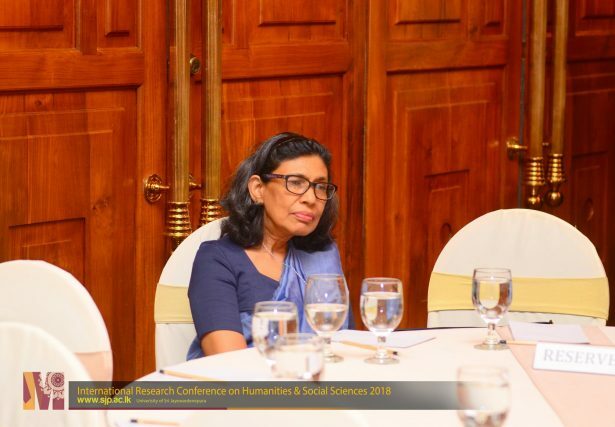 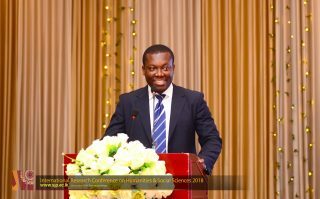 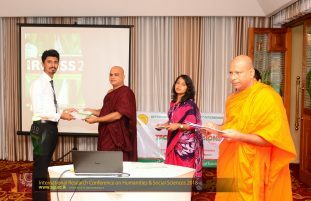 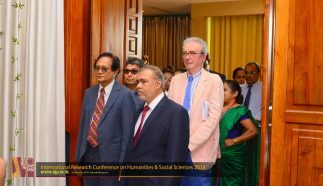 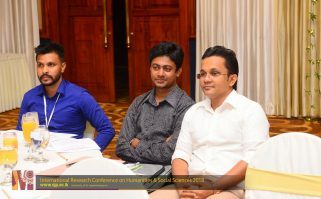 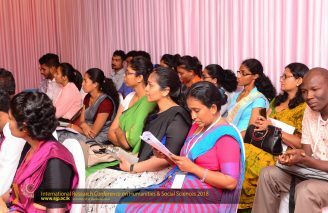 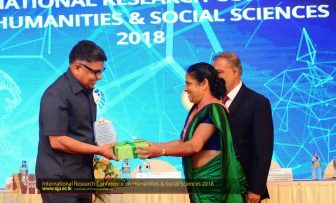 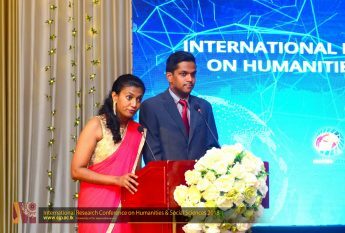 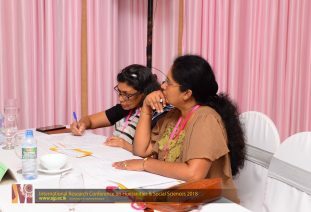 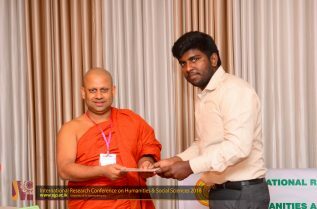 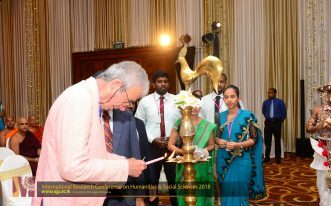 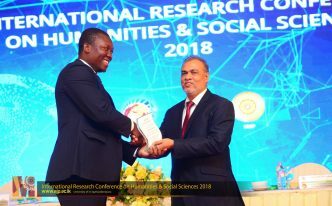 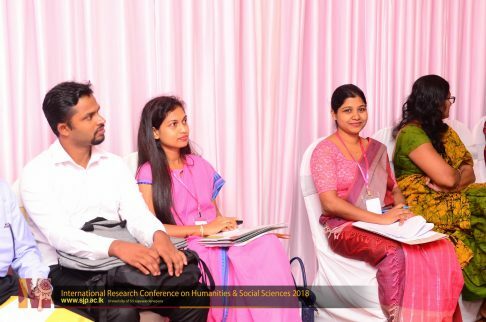 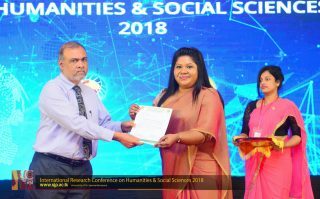 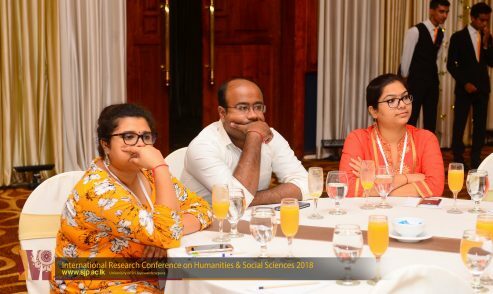 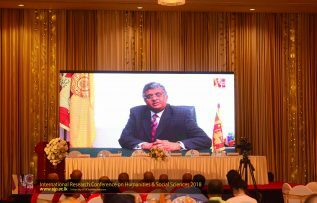 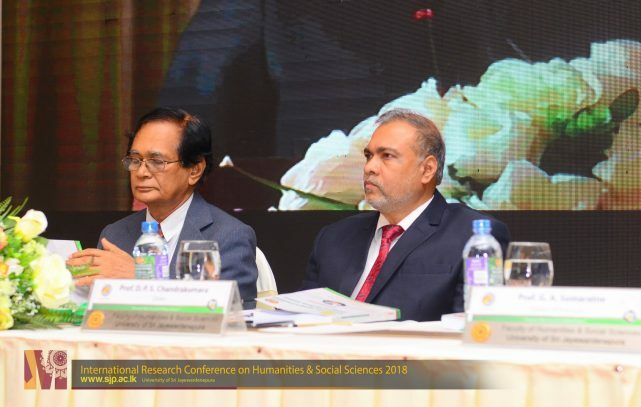 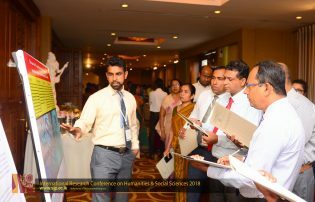 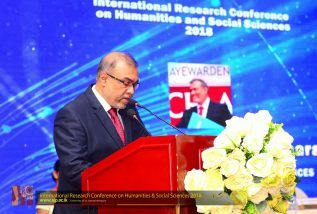 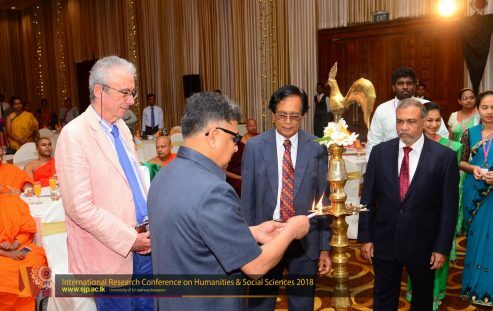 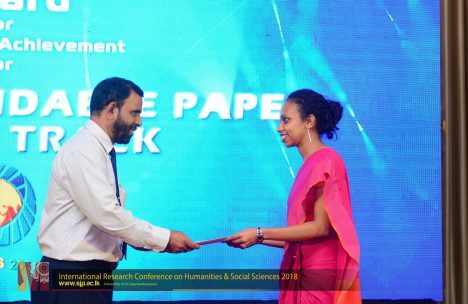 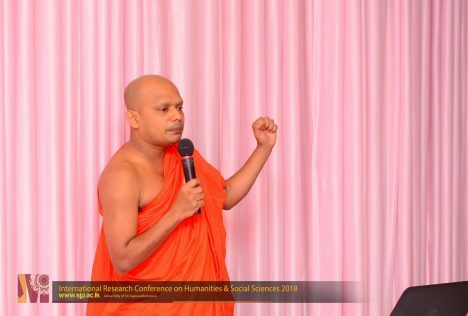 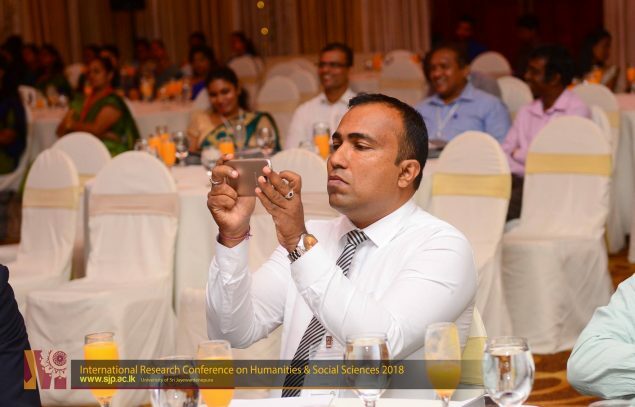 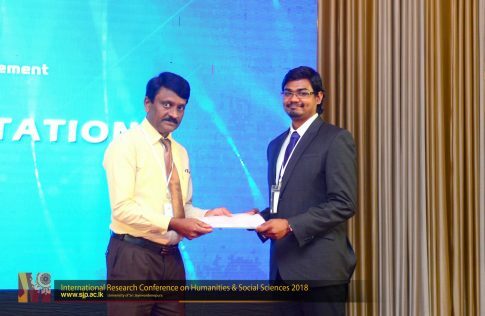 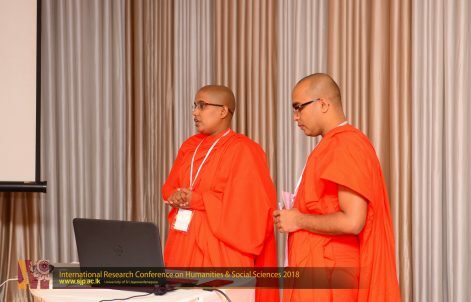 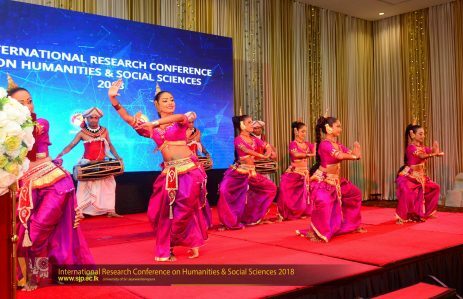 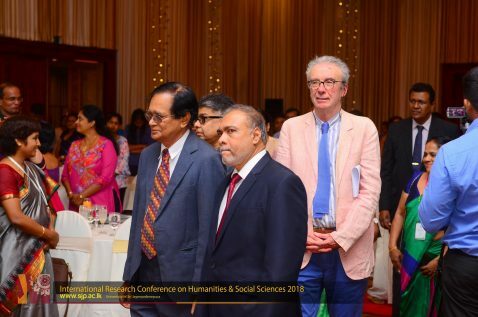 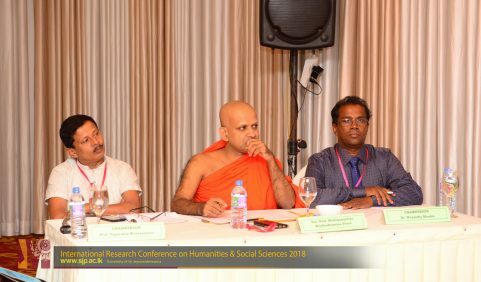 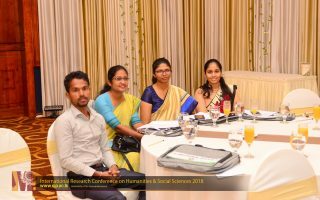 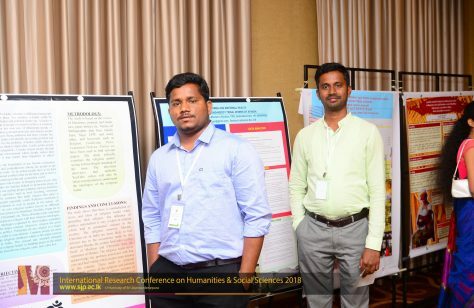 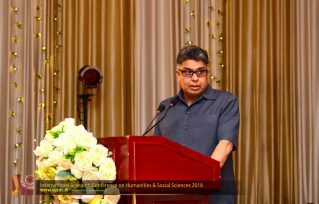 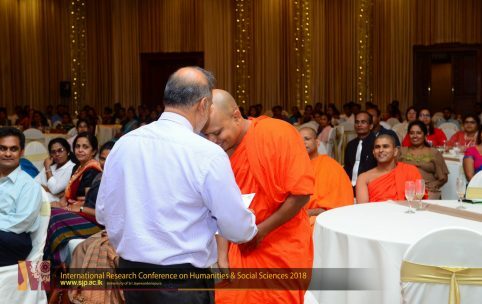 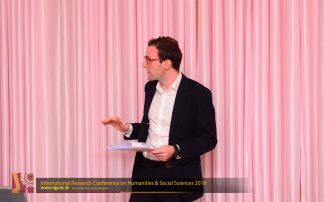 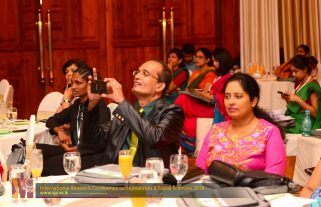 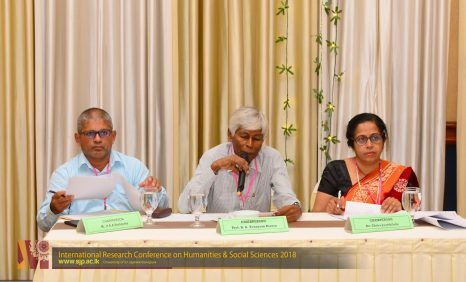 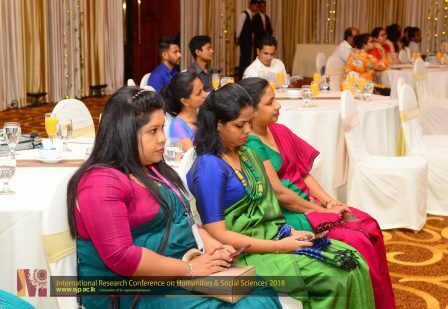 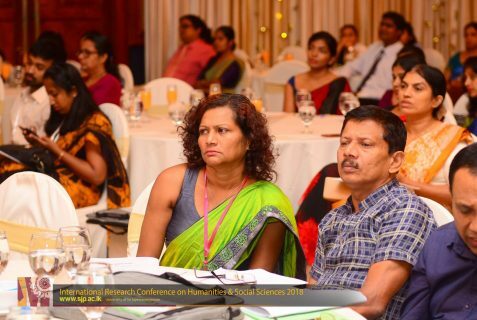 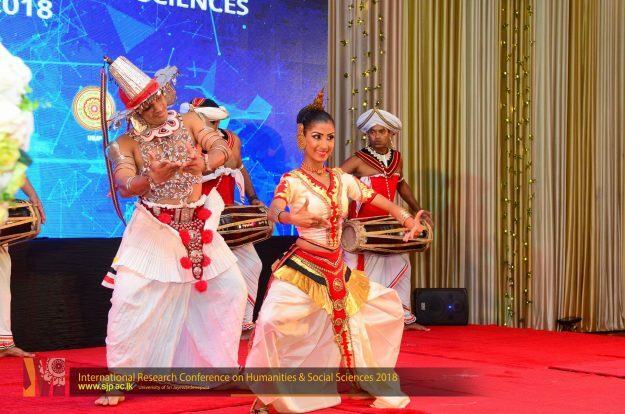 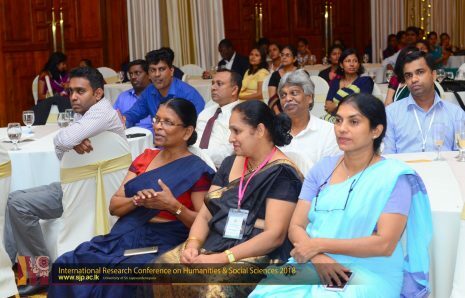 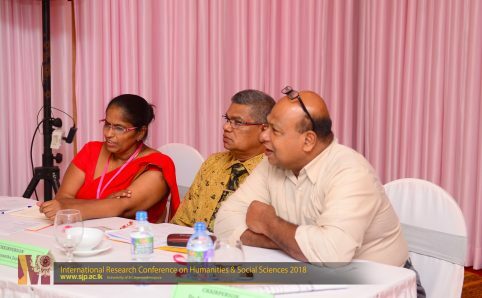 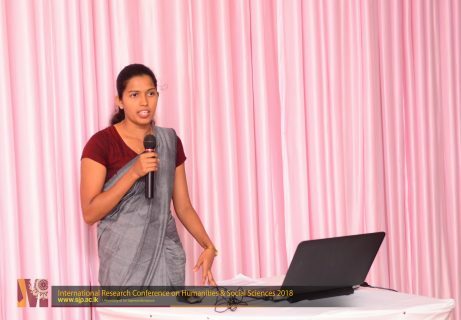 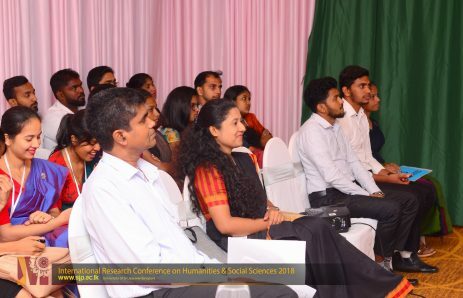 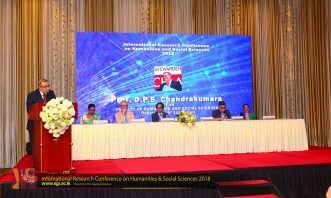 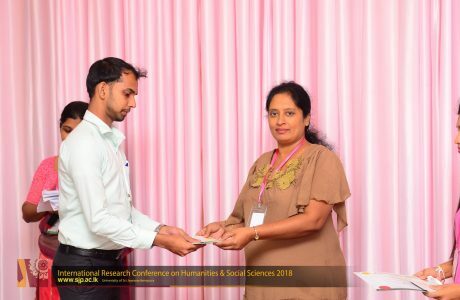 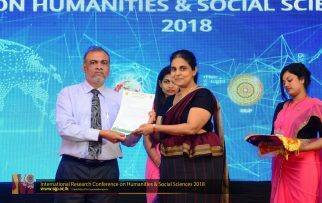 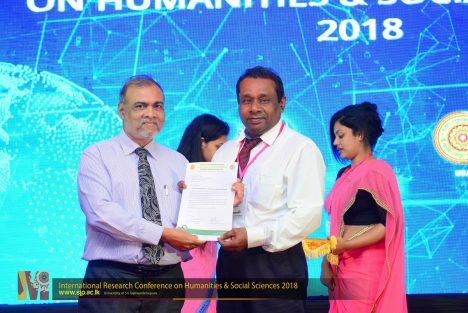 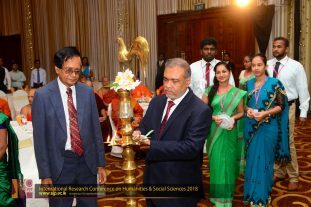 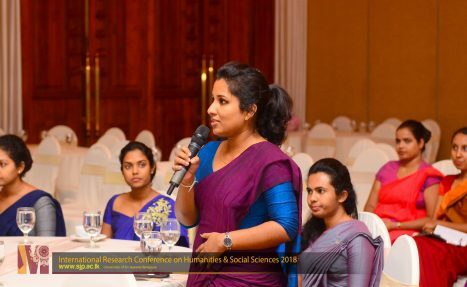 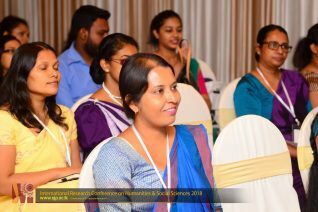 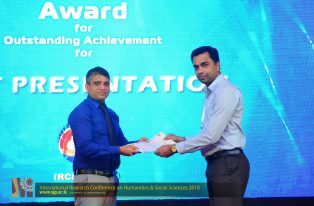 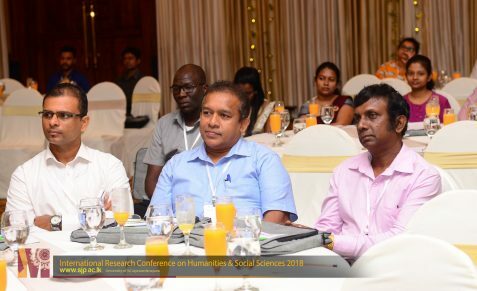 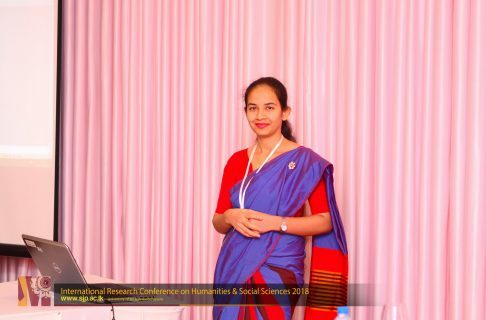 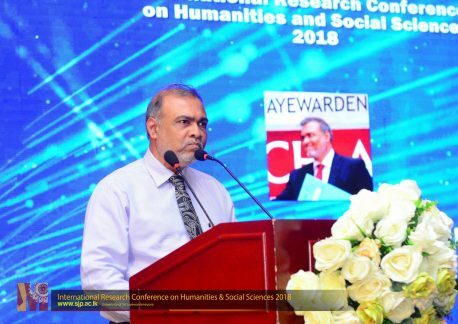 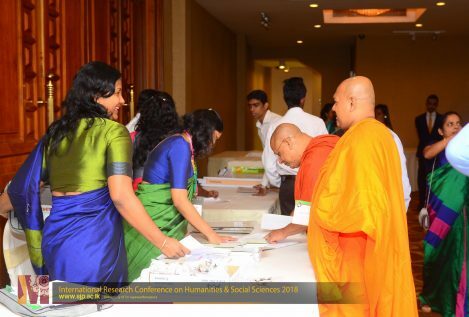 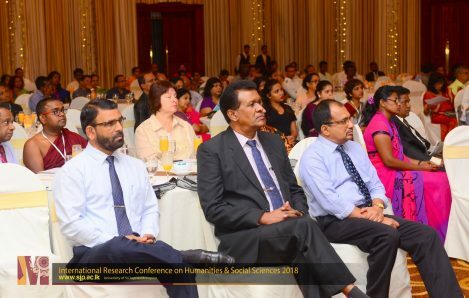 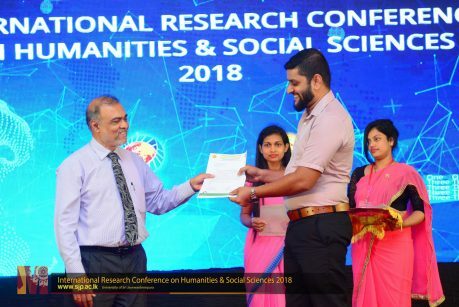 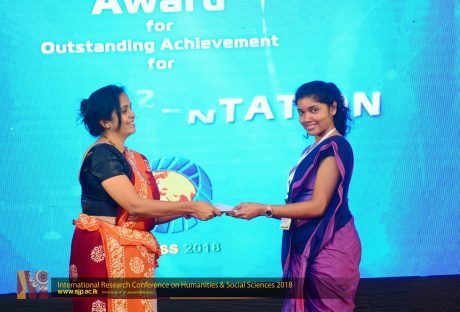 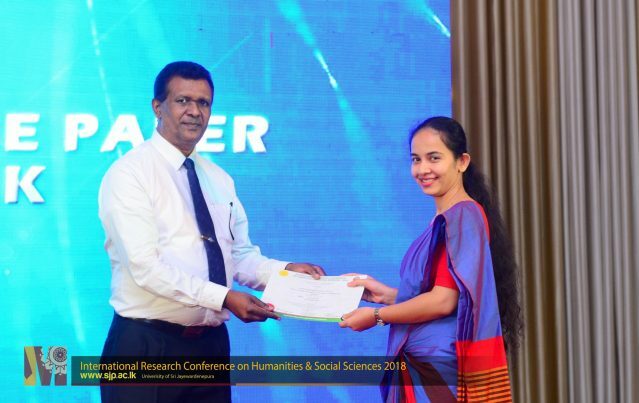 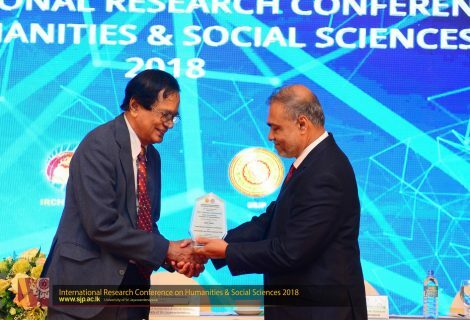 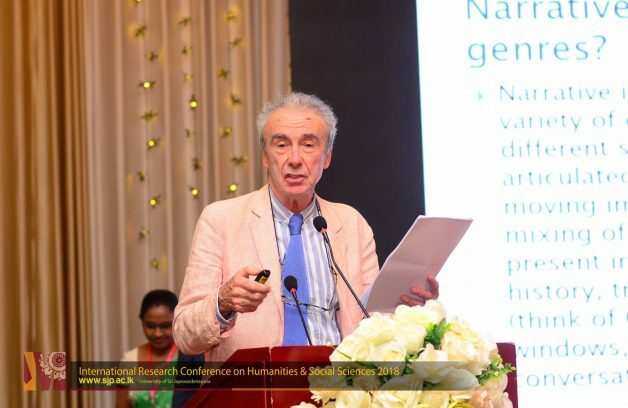 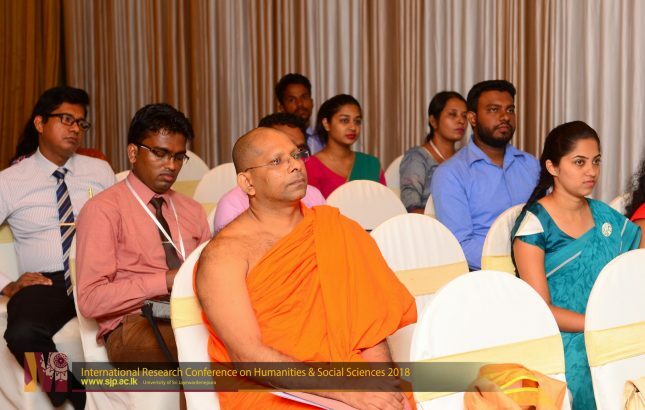 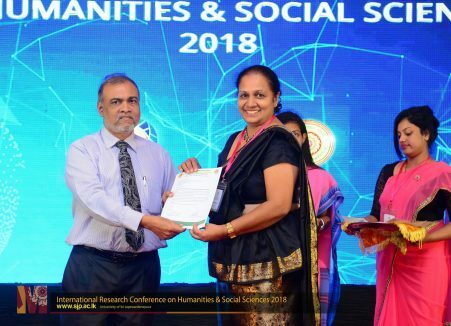 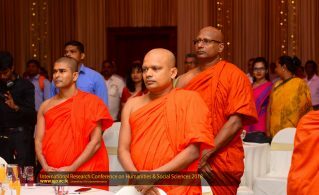 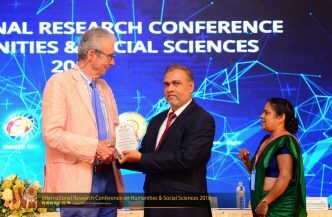 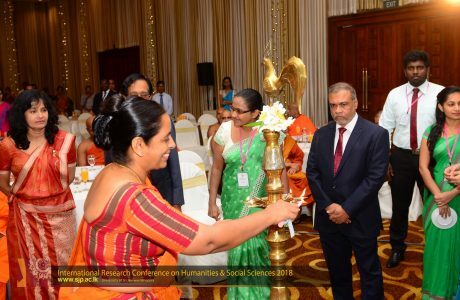 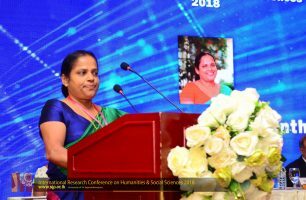 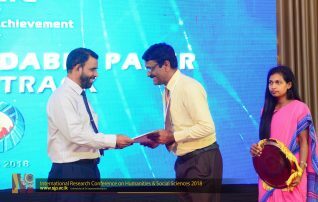 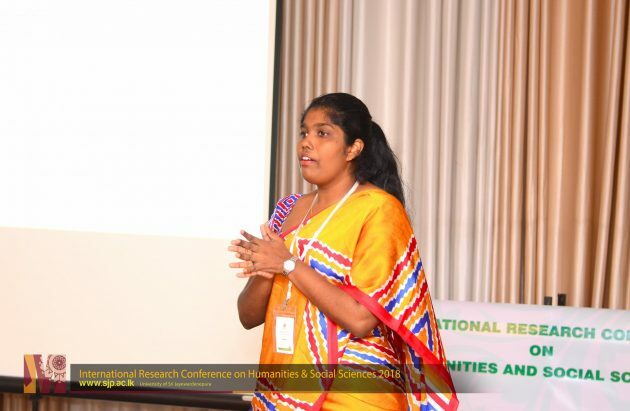 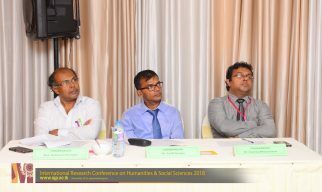 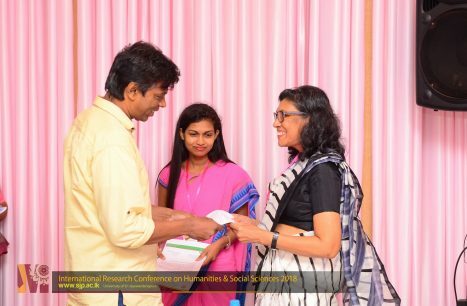 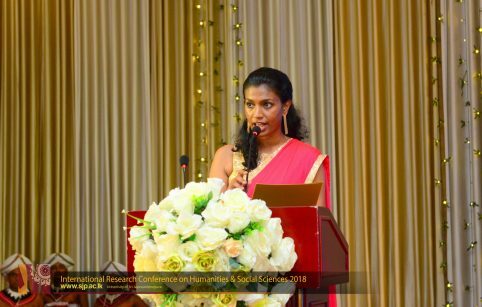 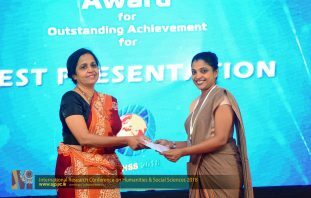 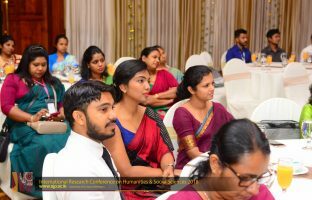 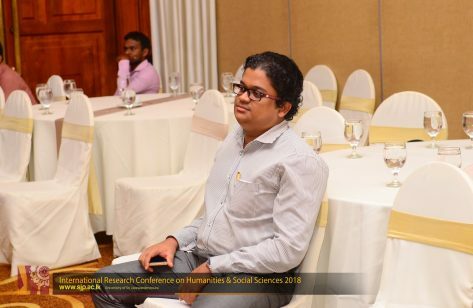 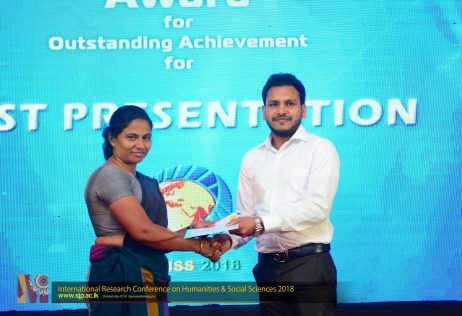 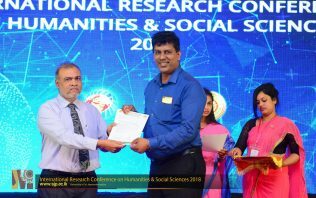 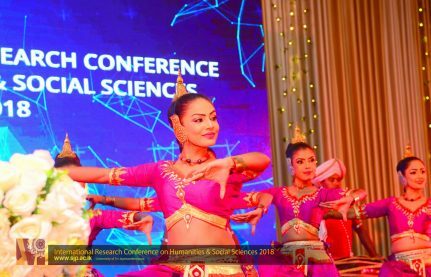 6th International Research Conference on Humanities and Social Sciences (IRCHSS-2018) organized by the Faculty of Humanities and Social Sciences of the The University of Sri Jayawardenepura was held on the 29th – 30th November 2018 at the Golden Rose Hotel, Maharagama under the theme “Crossroads: Where Humanities Meet Social Sciences”. 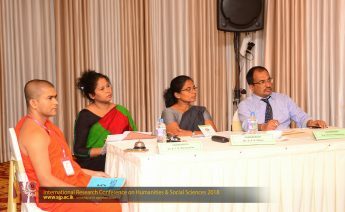 The conference was chaired by Dr B. W. R. Damayanthi with the assistant of the conference secretariat; Dr Nelum Kanthilatha. 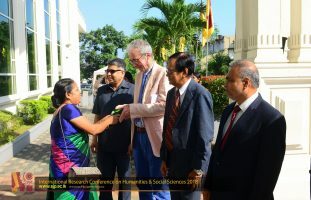 The inauguration ceremony of the conference was held on 29th November with the participation of Prof. D. P. S. Chandrakumara, Acting Vice Chancellor of the University of Sri Jayewardenepura, Dean of the Faculty of Humanities and Social Sciences, Prof. Mike Baynham; Keynote Speaker, Professor of TESOL, University of Leeds, Prof. G. A. Somaratne; Guest of Honor, Professor in Buddhist Studies, University of Hong Kong, Prof. Chandima Wijebandara, Chief Guest, Former Vice Chancellor, University of Sri Jayawardenepura, heads of departments, academic members and a large number of researchers representing various fields of studies in Humanities and Social Sciences. 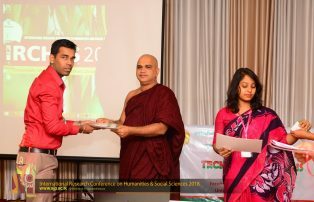 The second day of the conference; 30th November 2018 was included technical sessions, cultural show and awarding ceremony.